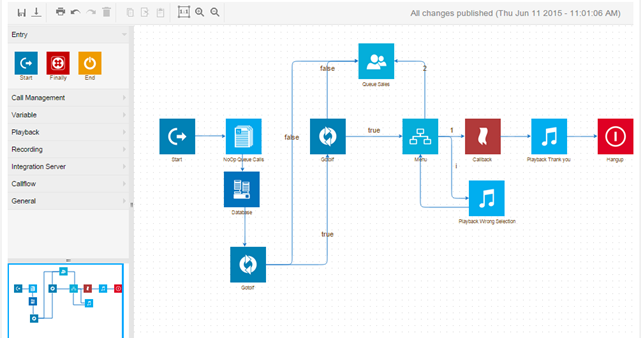 The Callback block is available ONLY if you have the Tiger Dial module (Platinum Plan). In this application, we want a waiting customer to be routed to a call back menu option after X second queue timeout. The following figure shows implementation of this application. 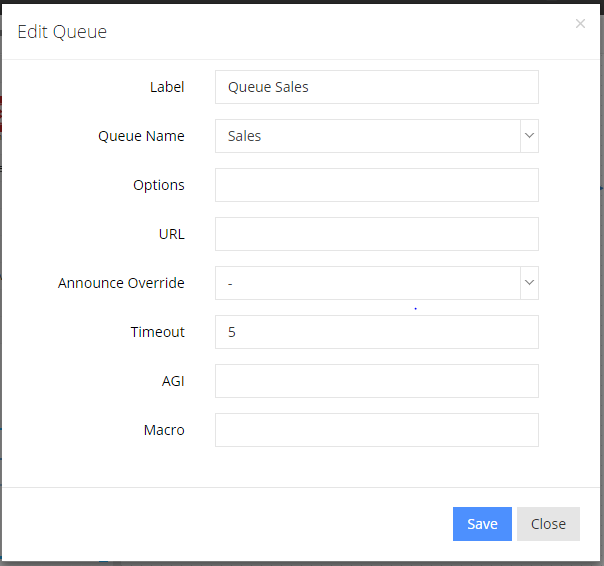 - In the queue setting, we set the timeout (time in seconds a call will wait in the queue before it is routed to the next step). 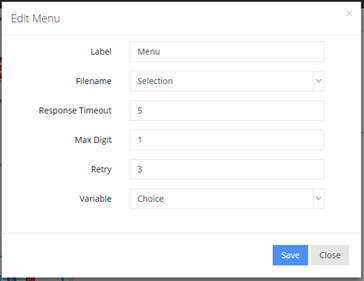 - In the menu, we insert the name of audio file to be played and we set appropriate values to response timeout, max digit and retry. - In the call back configuration, we need to insert the phone number of the customer (CallerID: default) and name of a file where the phone number will be inserted (See list creation on Tigerdial). In this example, the Customer is waiting in the Queue. After the Queue timeout (i.e. 20 seconds) he will hear a playback message, set in the Menu block. The message tells him to digit "1" if he wants to be called back, avoiding to stay on hold. If the Customer digits "1", he enters in the GetDigits block, where the playback message invites him to specify when he wants to be called back by the system, in minutes. For example, if he digits "15" it means that 15 minutes later the system will automatically call his phone number and will connect him with one available Agent. The value is stored in the TIME variable. In this scenario, the caller will be routed to a call back menu if the number of calls waiting is greater than a sepecific value. Here, we use the function QUEUE_VARIABLES(queuename) which makes the variable QUEUECALLS i.e. number of calls currently in the queue available. 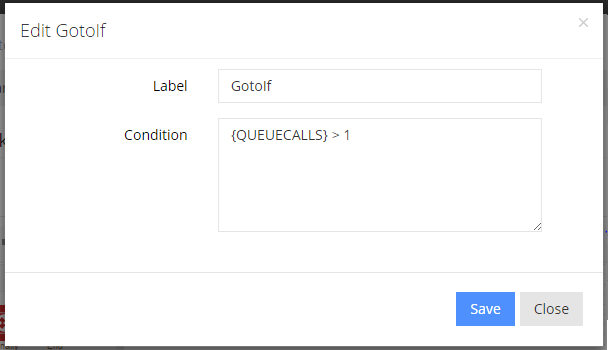 Note: we can also use the function QUEUE_WAITING_COUNT(queuename) which returns the number of callers currently waiting in the specified queuename. - We use Set box to set value of a variable to the return value of QUEUE_VARIABLES(queuename). By doing this, we can now use the variable QUEUECALLS. - GotoIf application is used to direct the call to the menu if the condition (number of waiting calls > 1) is true or to the queue if the condition is false. - In the call back configuration, we need to insert the phone number of the customer and name of a file where the phone number will be inserted. 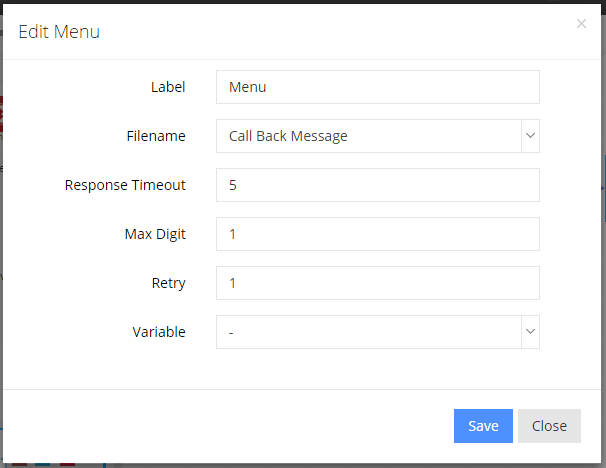 Like the previous example, the caller will be routed to a call back menu if the number of calls waiting is greater than a sepecific value. But the customer will insert his phone number manually. - All part is the same as the previous example except after the customer press 1 to leave their number, we use another menu to request the customer to enter his/her phone number. 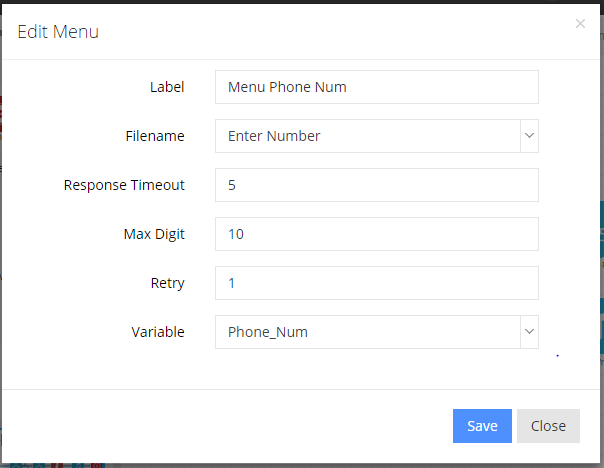 In the menu configuration, we need to set max digits to length of a phone number and choose a variable that will store digits pressed by the customer. - In the phone field of call back application, we insert the value of the variable that contains customer’s phone number instead of the default. The following IVR lets a customer to enable or disable a callback application inside another IVR by pressing 0 or 1 from a menu option. 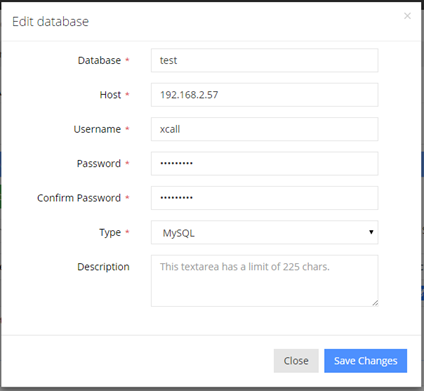 First create a new database in MYSQL (Must be different from XCALLY DB). 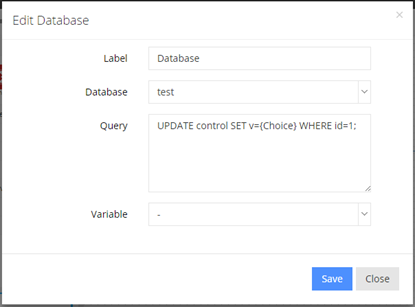 Then create a new table with two columns. Column 1 can be ID, Column 2 can be ANY_NAME. In the menu, insert the audio file to be played and we set appropriate values to response timeout and number of retry. 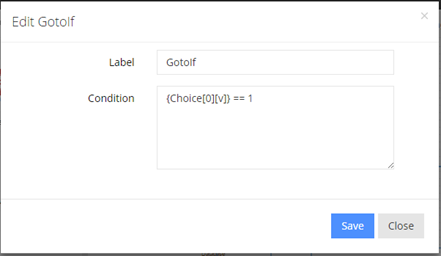 We need to select a variable that will store the option selected by the caller. 0 to disable and 1 to enable call back. In the GotoIf application we insert the condition. If the condition is false the call goes straight to the queue. (1 means callback is enabled).